Feel constantly stressed out by your hectic lifestyle? Think you could do with some relaxing down time? Maybe you should take up yoga. You never know, it might lead you straight into your ideal career. That’s exactly what happened to yoga instructor Jenni Crowther, a former pupil turned teacher. We caught up with her to find out how she did it, and to get some top tips on how you can do the same, of course. 1. How did you know you wanted to be a yoga instructor? To be honest, I didn’t initially think I wanted to be a yoga instructor. I just wanted to practice for myself, but I was encouraged into it by my teacher. I was living in France, doing a snowboard season for the winter and he messaged me and invited me to come back to the UK and do a teacher training immersion module with him at Triyoga in London. I was pretty surprised, I thought he’d messaged the wrong person at first! After my great experience on that immersion I signed up for a longer teacher training course taking place in India with a teacher that he recommended to me, found an insurance company that would cover me as a student teacher, then went back to the French Alps and started teaching for free just to get experience. I’m not keen on the word career, it doesn’t feel like that, because it never feels like work! I suppose one of the most important moments of my personal journey would be the introduction to the teaching of Godfrey Devereux for the first time. His approach to yoga has significantly and fundamentally changed my understanding of my own practice, and my teaching as a result. For me, a typical day teaching on a yoga retreat would mean getting up at 6am, making a cup of green tea and sitting in bed doing maybe 20 minutes of Kaplabhati. Class starts at 7.30am, and I arrive at least 20 minutes early, check the shala is warm enough, light some candles and maybe put on some music. Class is two hours in the morning, usually starting with sitting and pranayama then asana, savasana and more sitting. After class I’d host brunch, sit with the students and be available to answer any questions they might have about what’s come up in practice. After doing some admin in the office and checking everything is running smoothly with the villa staff I’ll leave around 11.30am, go home, have a rest, do my practice, maybe go to the beach for a swim, or if I’m feeling energetic, a surf. It’s back to the villa by 4.30pm, check in with the guests and attend to anything that needs sorting out. Class starts at 5.30pm and I usually instruct a restorative or workshop-style practice in the evening. At 7pm we’d come down to the lounge for dips, nibbles and then have dinner just before 8pm. After dinner, a quick check that everything’s OK in the office, and then it’s home to bed by 10pm. Eight hour’s sleep and it all starts again the next day. I’m not sure many people consider how important my voice is. I certainly didn’t realise until I started having to talk incessantly for hours a day, every day, for months at a time. Even the slightest hint of a sore throat or a cold and I’d be in a bit of trouble! I can teach with a physical injury (in fact surfing injuries have indeed affected my ability to demonstrate postures) but if I lose my voice, then I’m out of action. I once heard Godfrey say “Never hand over authority for your body to anyone, especially not me or any other yoga teacher.” and it is something I have repeated to almost every class I’ve ever instructed since. 8. What advice would you give someone wanting to get into teaching yoga? Never stop practicing yourself; and by practice, I don’t necessarily mean meditation, pranayama, asana and so on, I actually mean self-enquiry. Yoga is a practice of self-enquiry and so if you are not committed to a lifetime of personal interrogation then you are in danger of losing your integrity. 9. Have you ever had a moment of self-doubt? What happened and how do you get through those? Self-doubt is an absolutely essential and fundamental part of teaching yoga. If at any point I think I know anything without doubt then I have become a yoga dictator! I don’t know the answers, there is no definitive answer to anything, I’m simply sharing techniques that have helped me to become a nicer human being to be around. That said, when I step into the yoga shala I am never nervous, I just do my best, with as much awareness as possible, so that if something potentially irresponsible slips out of my mouth I can acknowledge it in the moment, so the students can see what I’m saying is potentially fallible! I think my next project is to find a piece of land and build a beautiful place for people to come and roll about on the grass and drink water from the spring and dance under the stars at night and escape from their grey, rainy cities. So if anyone reading this has more money than they know what to do with and wants to become a philanthropist and help me out, then I’d be very pleased to hear from them! 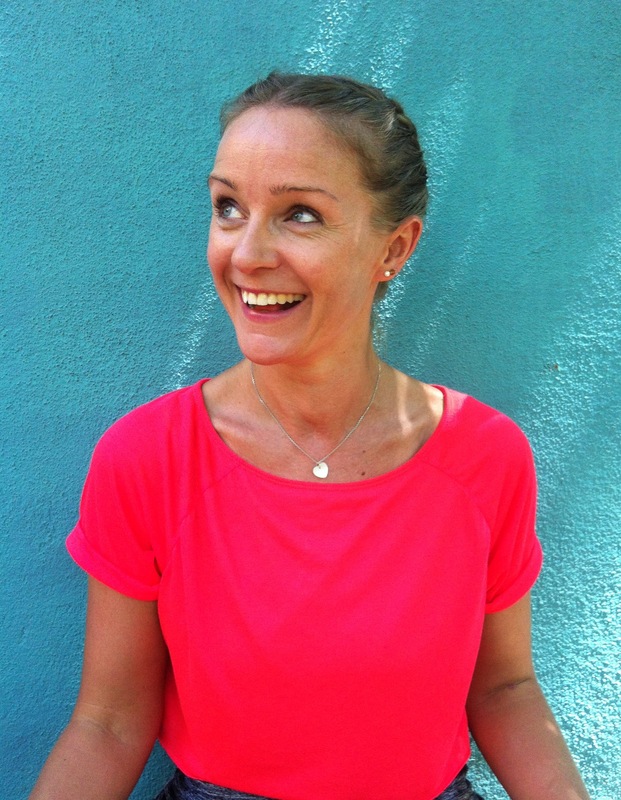 Jenni works as a skilled and experienced yoga instructor and can be contacted via jenni@agreenhouse.co.uk for further information on classes and retreats.